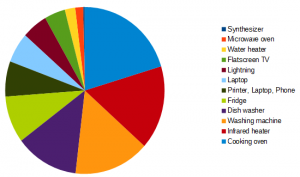 As anybody probably is at some time in life, I was quite surprised at the sum on one of the recently received electricity bills. I live in a multiple apartment building with a single electricity counter and with the other apartment owners, we simply split the bills into equal parts. 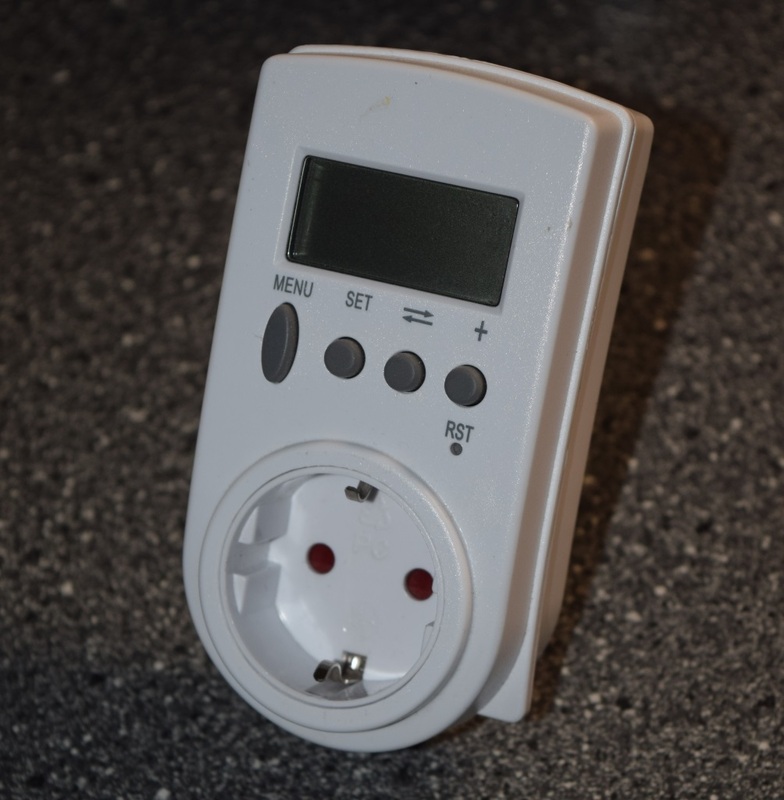 The devices with electrical plugs are the simplest to measure their power consumption. Simply plug them through the electricity counter. You can measure the power and calculate the energy consumption. Eg. 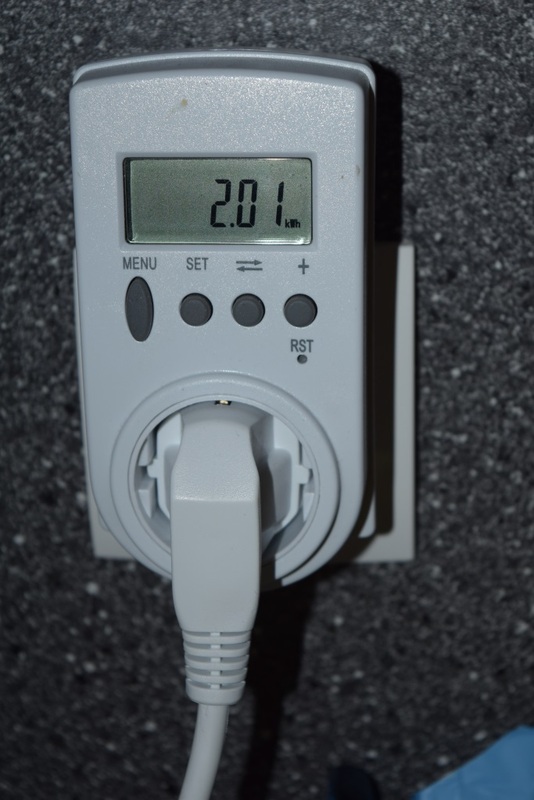 a 1kW electric heater will consume 1kWh of electric energy in 1h (when powered). Some appliances are a bit more awkward to measure. For example, lightning and high power appliances (oven) might be connected directly to the wall with no plug in between. For these, it is easier to simply calculate the power usage from the time they are turned on and their power designation. 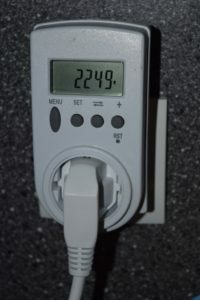 Power: 1W, Daily energy consumption: negligible, however having multiple unloaded adapters plugged in may translate into significant energy loss. 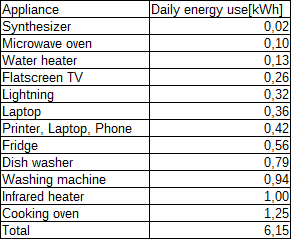 So in conclusion our appartment seems to use around 6,1kWh of electric energy per day, with most being consumed by the cooking oven, the infrared heater and the washing machine.